Bangladesh’s one of the leading private airlines US-Bangla Airlines is going to launch its maiden flights to India’s Chennai on Mar 31. 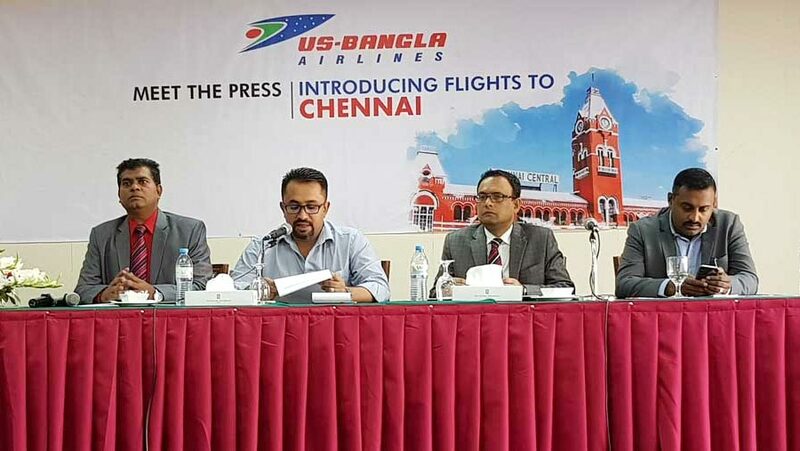 It will be the airline’s first flight to a south India city, US-Bangla CEO Imran Ashif announced this at a press briefing held at a city hotel on Wednesday (Mar 20), reports said. Initially three flights will fly from Dhaka to Chennai via Chattogram on Sunday, Tuesday and Thursday and will return on the same day. The flight will leave Dhaka at 9:10 a.m. and reach Chennai at 12:45 p.m. The departure from Chattogram will be at 10:45 a.m. The flight will leave Chennai at 1:30 p.m. and reach Dhaka at 6:00 p.m. The arrival in Chattogram will be at 4:30 p.m. (Bangladesh standard time).